Gobble gobble! 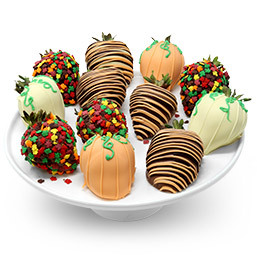 Send your thanks this Thanksgiving with these delicious bites of chocolate and vanilla cake. 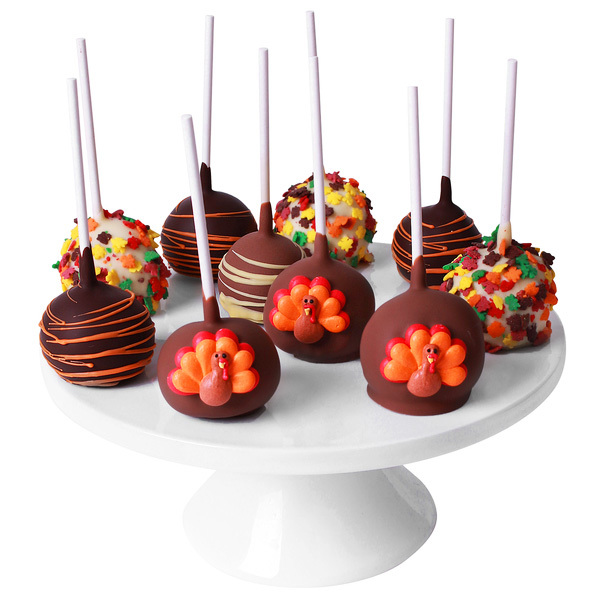 These cake pops are hand dipped into baths of velvety Belgian chocolate and then are decorated with adorable turkey appliqués, crunchy leaf candies, and icing drizzles. Make someone's day by sending these sweet treats, or bring them to your Thanksgiving meal to share with family and friends. 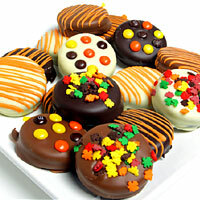 They loved the cake pops at thanksgiving - especially when there were so many pies. They were a great munchy for the day while all was cooking. I didnt give a five star because they came in a box with zero presentation. For $50for 12 little balls I was assuming they would be somehow delivered with a nice presentation - in a nice box, something! I would recommend buying them if you were accepting them so you could put them out in a nice display. I sent 6 Thanksgiving cake pops to my daughter in college. She ( and her roommates) said they were delicious. They are hoping I will send Christmas cake pops in December!